I don't know as much about the Chinese alligators as I do the Americans. So I can't say for certain, but in an American alligator that would certainly be a sign of extreme MBD. But, it's not an American, so can't say it's MBD without knowing what it's supposed to look like. 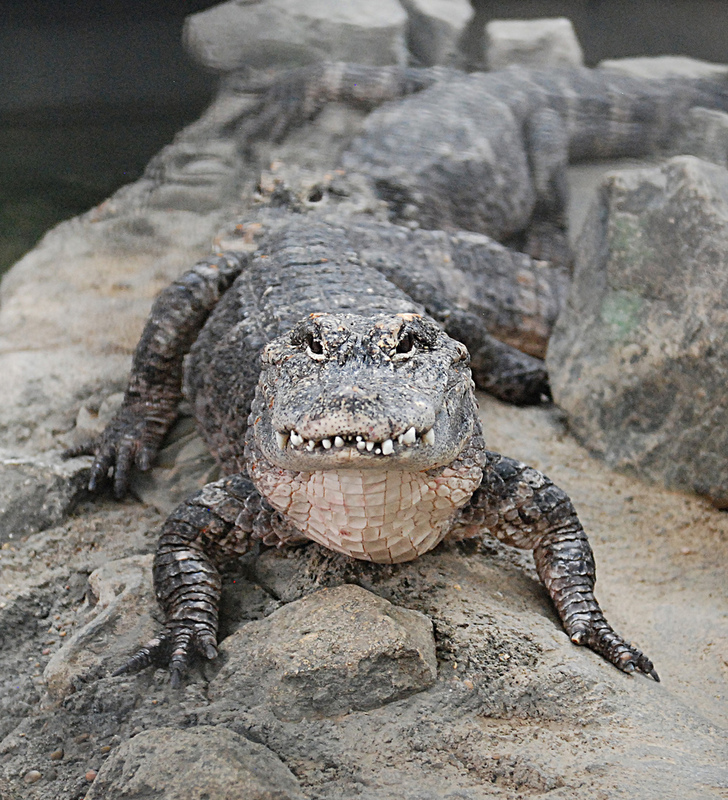 I looked at some skulls here though and it does look like the Chinese gators naturally have really weird teeth. http://www.skullsunlimited.com/record_variant.php?id=3178 Of course, the skull replica could have been taken from an animal with MBD, but I doubt it since it's being sold on a reputable, educational supplier's site. 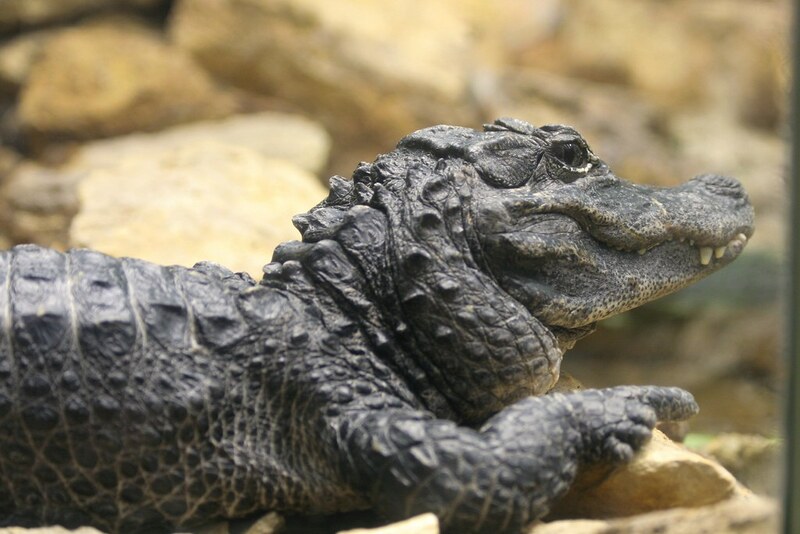 The Chinese have the stubby snouts naturally, but in an American alligator that would be a for sure sign of MBD. In the wild there are gators that get all sorts of weird things going on with their teeth though. An acquaintance of mine does a lot of underwater photography in the Everglades, and he posts tons of pics of gators. They're American gators of course, but once he posted a picture of a gator with a bottom tooth poking straight up through its nose--the skin had even formed a hole for the tooth since poking up straight through the upper jaw. So you do get weird things going on naturally. MBD is a very big concern though in the captive croc community. Crocs didn't get the correct care they needed for a long time, and most are still not getting correct care. They need a basking spot that covers their WHOLE body. Not just a spotlight hitting them in one spot. When someone posted a photo of one at the Cincinnati zoo, so same one as the first but a private photo, I thought it looked really bad then he pointed out it was Chinese, which explained the head shape. The teeth still look so funky though but it does seem common in the photos I could find. Most if not all the photos of the species seem to be in zoos that I saw though, so hard to say if it's normal or just really common that they have issues in zoos, since I did find a couple where the teeth look more like you'd expect. I guess only someone who's studied them in the wild could say for sure. Says they can live 50-70 years, so could be also many are products of past care standards.